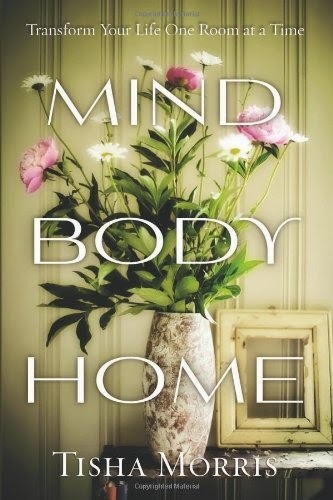 Mind Body Home by Tisha Morris is a excellent read. A book that I will be reading regularly to ensure that I do not lose sight of what is important for our home and us. Please continue to read this review as a ramble about the amazing information I learned about our home of over 36 years. People always asked us - "Why have we never moved?" now I can tell them "It is because our home and us are one". Shui consultant - Feng Shui is the science that relates how the energy in spaces affect the mind and body of its inhabitants. This is totally new to me - I am a true believer in energy forces that are unseen but felt. We live a very green life in fact I am a Green blogger - focusing on nature and what it gives and takes. I want to start out telling you a little about us and our home. In 1978 my hubby and I purchased our 1st home. We picked a location in an area about 20 miles from where we grew up. The town is not incorporated - we have a car repair shop, post office, store, beauty shop, restaurant and bar. A small home 1500 sq feet on one acre of land on Center Lake. The minute we toured the home we both knew it was the house for us. Now it is 2014 - our children are grown and moved on....and we are still in the same home. Not once in 36 years have either of us wanted to sell and move. Sure there were a few years when we were a little crowded in the house but now the home size is perfect for the two of us. Our yard is a little big for us now - at one time it was perfect for the kids - but it is doable with the right equipment to care for it. By no means have the 36 years been all roses and flowers! We live a very normal life. We have had our ups and our downs. Our neighbors to the west have lived in their house for over 50 years - the neighbors next to them moved into the area 2 years before us making them 38 years in their house. The neighbor to our north built their house 17 years ago and the house to our south has had four owners with a lot of drama and hardship. There have been 4 families live in the house and they have all had serious issues. Scarey to us...no way would I want to move into that house! Shortly after we moved into our home I asked the neighbor across the street about our home? She has lived in the area all of her life. She told me that a man and women built the home in 1946. He fell in love with her in Germany while serving in the Army while fighting in WWII. She was in a concentration camp and he was one of the servicemen to rescue the victims of Hitler. He was married and had two sons that lived in Illinois. He came home from the war - divorced his wife and went back to Germany to bring her back to the USA. They lived in the house from 1946 till her death in 1977. He passed prior to her. In 1977 the house was sold to a couple that lived there less than a year and they sold to us. The reason they sold was that the house caused too many problems in their life - he wanted to fish all the time and she wanted him to work on the house. They stated their marriage was suffering ever since they moved into the house. They sold the house to us and moved about 25 miles into the city in a very congested area. In 1978 we moved in - Jason was 3 and I was pregnant with Dawn. Dawn was born in 1979. In 1990 we added a 2.5 car garage in the back with a new driveway and also added front and back decks. We only made one floor plan change and that was converting the sun room into a bedroom. Otherwise, we have only painted and redecorated all of the other rooms. Yard work we have cleared out shrubs, added a garden, and added numerous flowers beds and shrubs around the home. In the past 36 years we have added shrubs, we have removed and readded different shrubs. I have added shrubs in locations to make me feel safe. I know that sounds funny but one of our bedrooms has one wall that is total windows with wrapping windows on both sides. The side window that faces the road always bothered me - so my hubby planted a shrub below the window. Now that window is my safest. No way could anyone break the window and climb in...the shrub is big and pickery! Now mind you we live in a very safe area - just about zero crime. Why that window bothered me I have no idea. But we solved that problem. I found the info on using Feng Shui to Analyze your Home site extremely interesting. Using the four animal totems to harness the earth's energies. To my amazement our yard had all 4 animals! The White Tiger to left - the Black Turtle to the back - the Green Dragon to the right and the Red Phoenix to the front. Over the years we had removed and added trees that now fit right into the animals. Amazing to both of us! We had never heard of Feng Shui until this book. Finding the right place for everything in the yard has been a work in progress. Over the years I have moved plants all over the yard until I find the place the plant likes best. Sounds silly but my Poppy is 36 years old...at 1st I had her in the front yard. After about 3 years of little to no growth I decided to move her to the back close to the house. She started getting morning sun and she has thrived for over 30 years. 2 = Number 2 home is great for partnerships. In about 1985 we were given a house number 9509 9 + 5 + 0 + 9 = 23 2 + 3 = 5 A Number 5 home is a home of activity.I was shocked when I read that a Number 5 home has the tendency to move through life quickly! That was me in a nutshell until about 5 years ago! I traveled at max speed! LOL I was amazed that the number was so true to fact about us. My hubby was fast -but I was faster! Now we have been settled into a slow meaningful speed. Much better for us as a whole. He is retired and I quit my real job and now work very part time at our local hospital in the admitting main hospital and ER Department. lots of light and it is much easier to cool and keep a warm home when you use light to your advantage. 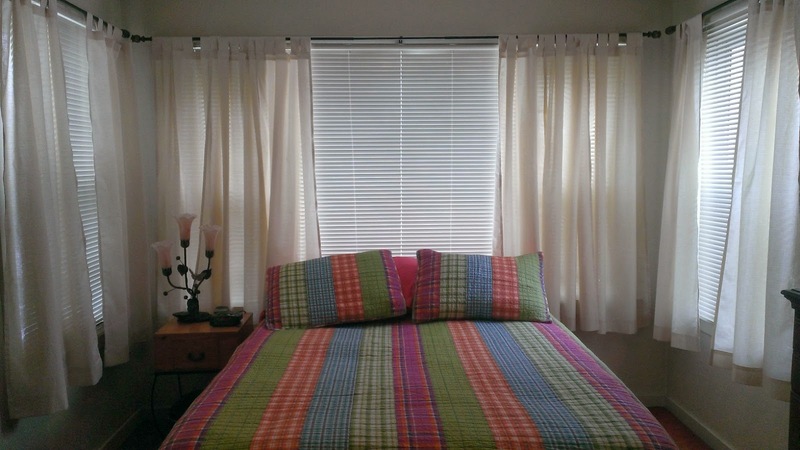 In fact to take the pic of the spare bedroom I needed to close the blinds. The sun was too bright for a pic. Our floor plan goes in a circle - no long halls. We have arched openings and in our living room the north wall is a huge fireplace made with local rocks and red bricks. Reading the book I have learned the value of my home having so many windows and also our fireplace. Why these two areas in our home that make our home so special. Have you ever used a Bagua Map of Life? I used the Bagua Map of Life to get the feel for each area of our home. By using the map I can look at the nine areas of my life and determine in which areas I want to make change or find fulfilment. When I laid out the floor plan of my home and the Bagua Map I was shocked to learn that the room I write my blog and plan my glass art is in the Creativity part of the map. Our spare bedroom for friends and family is the Friends and Helpful People section of the map. Our kitchen is the Family and Community and our bedroom is the Love Marriage and Partnerships section of the map! I am amazed!!! Our bathroom is in the middle - an area we will need to work on to make sure it not a energy drainer. more. 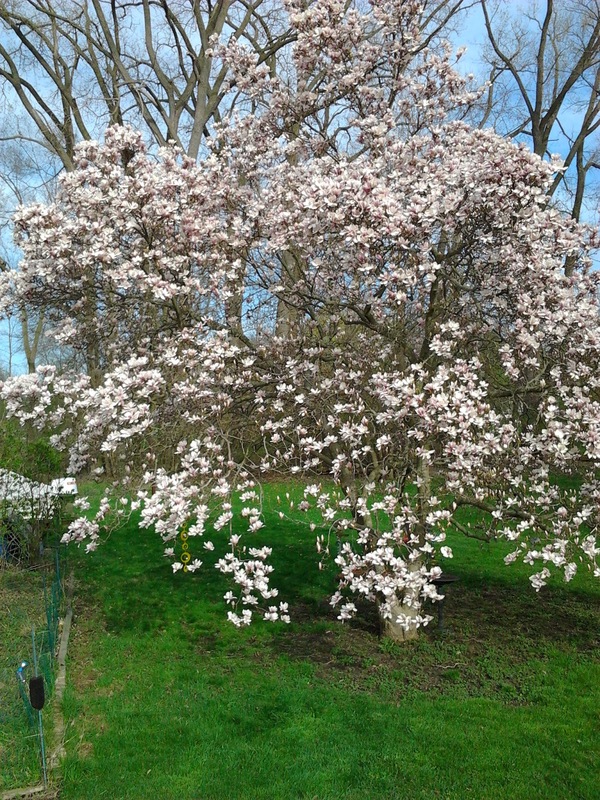 The tree makes the most beautiful music on windy days. I will start paying more attention to the needs of space clearing. The clutter section about our home made me smile. My hubby and I are very different in the area of clutter. I can discard items easily. I only hold onto a few things that really mean something to me. My hubby collects - he has so much stuff! Yes I call it Stuff! He laughs and says "Yes, it is my Stuff". I even have a saying in the hall framed that says "A home is a place where I keep my stuff - While I am out getting more Stuff". I am the one with nothing on my tables except one piece of glass art. Only a vase on the kitchen table with flowers. Our kitchen table has two sides His and Mine. From the 1st minute we sat at the table in the kitchen we formed our side. My side has nothing on it - hubby's is cluttered. Our chairs in our living room each have a table - mine has one lamp on it...his table is cluttered with all kinds of items. Learning to respect each others differences took years for us...reading about clutter has and will help me accept our differences and understand them much better. The topic of clutter I will be researching more. I think our space/clutter issues are our weakest link for our home. I could keep going and going about the book. Very interesting! Overall I have learned that my hubby and I have turned our house into our HOME. Our emotions and energy are in our home. Mind Body Home has helped he understand what I need to do to ensure harmony for our home. Now to read the book again. I am definitely putting Mind Body Home on my monthly review list. I am going to check out this book! I love my house and am always trying to make it more homey and comfortable. I want it to be clean and warm! How interesting. Not sure if I believe it but I am always open to new ideas. And I am willing to try anything that makes my surroundings more peaceful.